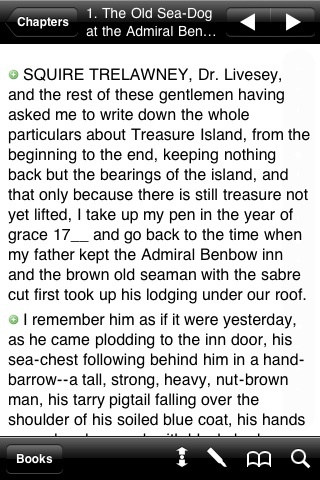 Treasure Island is an adventure novel by Robert Louis Stevenson, narrating a tale of "pirates and buried gold". First published as a book in 1883, it was originally serialized in the children's magazine Young Folks between 1881-82 under the title The Sea Cook, or Treasure Island. Traditionally considered a coming-of-age story, it is an adventure tale known for its superb atmosphere, character and action, and also a wry commentary on the ambiguity of morality—as seen in Long John Silver—unusual for children's literature then and now. It is one of the most frequently dramatized of all novels. The influence of Treasure Island on popular perception of pirates is vast, including treasure maps with an "X", schooners, the Black Spot, tropical islands, and one-legged seamen with parrots on their shoulders. The Standard Works book reader is simple to use, but also contains many advanced features not usually found in other eBook readers. Rather than continually flicking through little pages of text like some book readers, the Standard Works book reader displays an entire chapter or book at once for you convenience. 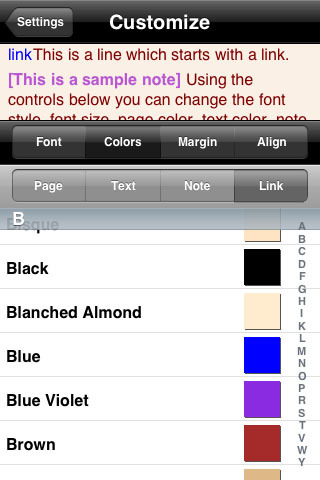 The text can even automatically scroll for you in both portrait and landscape modes while reading. 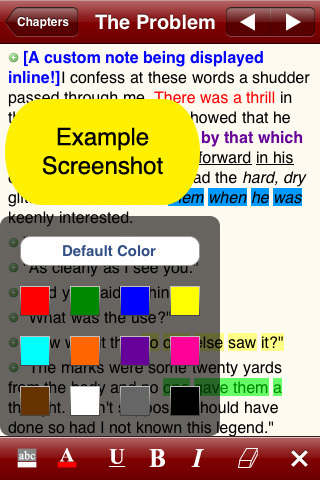 You can even highlight important words or phrases using the absolute best highlighting system available on the iPhone platform. Create notes for each paragraph which can be displayed inline and assign bookmarks to any paragraph in any book for future reference. 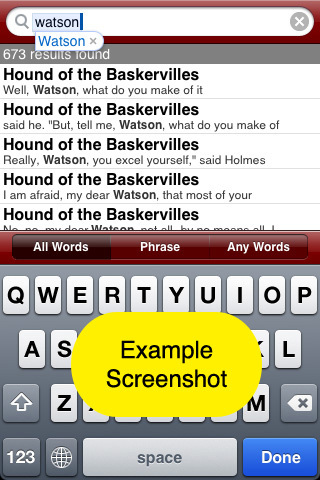 And if that's not enough, quickly and easily find any text from any book with the fastest and most powerful search engine available on the iPhone. 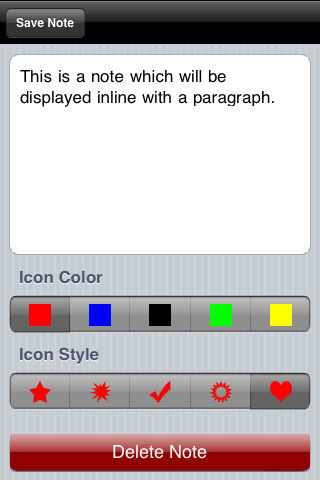 When you purchase this application, please take a moment and write a review for it.